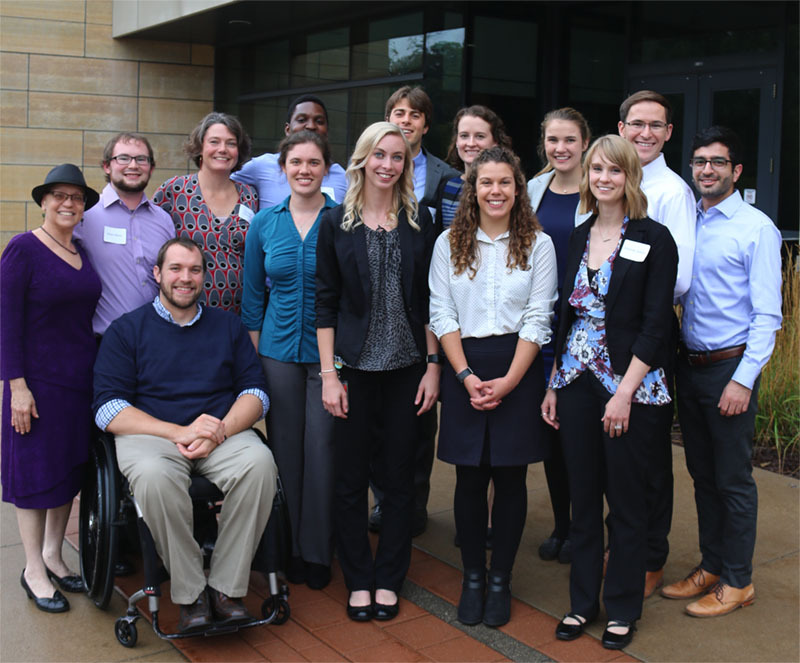 The second annual 2017 Iowa One Health Conference brought together a multidisciplinary cast of students and professionals in relevant fields to learn and discuss how the concept of One Health can help drive positive change in the health of humans, animals, and the environment. A joint team of students from the University of Iowa and Iowa State University were chosen as winners of the 2017 One Health Day Student Events Competition! For a full list of the award-winning IOHC planning committee members, click here. 2017 Iowa One Health Conference organizing team. Click the image for more information. The award-winning Iowa One Health Conference planning committee is working on creating another wonderful conference in fall of 2018. More information will be announced in the coming months. Stay tuned on Facebook and Twitter for updates! To find out more about the 2017 Iowa One Health Conference, click here. To find out more about the 2016 Iowa One Health Conference, click here. For more information, contact Iowa One Health.